A week ago the seventh season of one of TV’s greatest shows ended. As expected of a show of such huge following, the reaction to the season has received varied and mixed reactions. I have taken the time between when the season ended and now to rewatch the season, and also give ample time to those who may not have watched, or those who chose to wait for the full season in order to binge watch it during the weekend, to catch up, because inevitably, a review like this one contains spoilers. Warning: The following article contains spoilers for Game of Thrones Season 7, and possibly other plot spoilers for a Song of Ice and Fire series – the book version of the series. 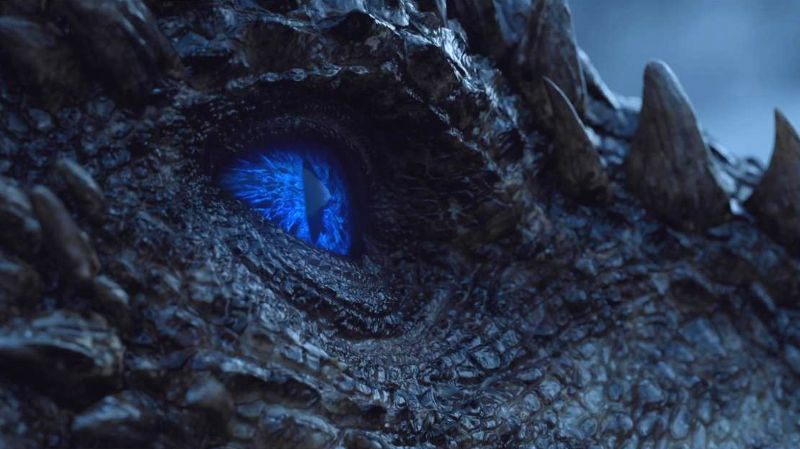 Season 7 began with Arya Stark massacring the Freys, and ended with an Ice Dragon breathing blue flame on a wall that has stood for tens of thousands of years and therefore exposing the realms of men to the Others and their undead host of wights. In between we got a cameo from Ed Sheeran; the dragon Queen burnt an army and a lord, lost a dragon and gained an ally, Lord Baelish suffered an oddly satisfying – if gruesome – death, while Theon Greyjoy embarrassed and redeemed himself in turn and the Hound questioned his whole set of beliefs. Jon Snow went south and finally met with the Dragon Queen, Samwell Tarly cured grayscale and saved Ser Jorah Mormont and we saw the cocky Euron Greyjoy come to pay homage to a Queen and make good his promise to bring her a “gift”. The Unsullied took Casterly Rock, which Jaime sacrificed in order to conquer Highgarden. In order to convince the rulers and Lords of Westeros of the importance of focusing on the Night King, Jon Snow and a kickass team comprising Thoros, the Hound, Gendry and Lord Beric head beyond the North to capture a wight. They capture a wight and are rescued from the undead army by Dragons and also a fortuitous appearance by Benjen Stark. With the wight secured a truce is held at Kings Landing where after initial disagreements Cercei Lannister “agrees” to suspend hostilities and join in the fight against the Others. Meanwhile at Winterfell Lord Baelish tried to drive a wedge between Arya and Sansa and seemed to succeed before his ehmmm timely demise. Bran Stark and Samwell finally made sense of Jon’s parentage and revealed the worst kept secret of the series. After seeing Cercei’s treachery Jaime headed north just as snow started falling in King’s Landing. Finally the wall fell to an undead Dragon’s flame and it ended with the undead entering the realms of men. Considered wholesale it would seem, then, that Season 7 was both brilliant and advanced the plot like no other. Yet that would be an incorrect assessment. Like they say the devil is in the detail. Let me start with the bad and some things which really frustrated me especially regarding how the storyline was written. The quality of the writing has fallen, becoming less “Game of Thrones” and becoming more Hollywood. This is probably because the show is now two seasons ahead of the books on which it is based and without the structure of the books to rely on the show creators had the freedom to roam and take their own direction. Gone then was Martin’s penchant to surprise and shock in equal measure, replaced by what we have often seen in Hollywood movies, where the good guys always win and seldom die. There were deaths of course- the dragon, Lord Tarly, Littlefinger, Thoros of Myr – but, with the exception of the Dragon, none of them were huge or well-loved characters in the mould of, say, Ned Stark, Robb Stark or Drogo. The characters continuously got themselves out of knotty situations with plot devices that were unsatisfactory. For example Jon Snow was rescued by Benjen Stark appearing just in time, while Jaime Lannister’s foolish decision to charge at a dragon resulted in him being thrown into a river and resurfacing an episode later alive and hale despite having been in full armour. Another thing is that the characters also seemed to do nothing for lengthy spells. After taking Casterly Rock, for instance, the Unsullied do absolutely nothing for the whole Season. Varys also doesn’t do much, and it was annoying that Varys, previously the most knowledgeable person in all Westeros, now knows next to nothing. It was also mildly annoying to see Tyrion Lannister, who is supposed to be extremely cunning, make blunder after blunder. My biggest complaint with D&D is that certain key events felt too contrived, too forced, just to arrive at an end or advance the plot. Gendry was collected from King’s landing so he could run back to the wall, the Sand Snakes were killed off because they served no other purpose. The biggest of these was the foolish plan to capture a wight, which obviously was just a way for the Night King to get his own dragon and therefore have a way of breaching the Wall. All this and yet the show was still thoroughly enjoyable. The scenes were well made and the acting was still top class. In particular, Arya was particularly great to watch. The fourth episode in which the Dragons and Dothraki engaged the Lannister forces is surely one of the best in the whole series. The scenes with Bran were also good, in an eerie way, and so was the arrogant Euron whose cockiness was a joy to behold. While other viewers complained of how quick traveling has become in the series, it did not bother me at all. With so many strands and plots to tie off the show cannot afford tardiness and have characters spend three whole episodes traveling between places and doing nothing else. The story is, after all, winding down and the storylines have to be unified. I agree with most people however that there were too few episodes and that some scenes could have done with better explanations and more time. The show still managed to be entertaining and gripping, which is no mean feat in this day when millions of people on social networks, on forums, blogs and other spaces analyse every little detail and try to pre-empt the plot. With the internet it has become extremely difficult to create a show that keeps people enthralled – even for a season- the way GOT has done for seven. To conclude, Season 7 was not as good as the others; events felt forced, at times it was too sluggish, and at others too brisk. For long periods some characters did nothing, while some disappeared altogether. The writers, now well beyond the books upon which the series is based, floundered and it showed. Yet despite all these shortcomings, Game of Thrones is still a brilliant show, the best on TV, and even in its inferior forms, it surpasses anything else. Excellent review. I mostly agree with what you said, however I feel you are too forgiving and you are letting D&D off too easy for men of their talents. The fantasy series bits was plain lazy writing and mediocrity in creativity. Overally I enjoyed the show though.